The Porsche Boxster is slated to receive a massive face lift and major improvements over the previous models. The two-seater car with an open hood will feature a better reinforced framework built of lightweight materials. 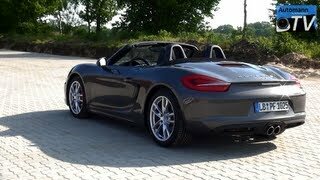 The outer appearance of the new Boxster S 2013 looks very elegant and a major improvement is the new revamped fully electric hood in the place of the old convertible roof lid. The car interior also has been changed to imitate the Carrera GT’s cabin which is also a welcome change. 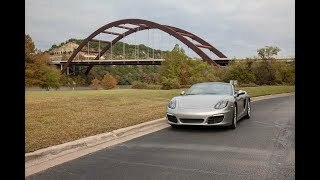 The new Porsche Boxster S 2013 features the innovative electro-mechanical power steering that offers better handling of the car. Porsche has equipped both the Boxster with a flat-six engine which has a displacement of 2.7 liter and generates a power output of 265 horse power which is marginally more than that of its previous generation model. 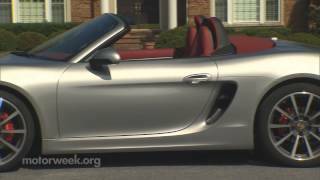 The Boxster S on the other hand is powered by a 3.4 liter engine which generates 315 horsepower at 6,700 RPM. Another aspect where Boxster gains an edge over its competitors is the fuel efficiency and mileage as its efficiency has been improved by almost 15 % and offers a mileage of 12.5 kilometers per liter of fuel. The fuel efficiency of the engine units has been improved greatly by employing technologies such as thermal management, electrical system recuperation and direct fuel injection. The power is transmitted to the wheels through the standard six speed manual gearbox. A plus point is that customers have the option to install the specialized seven speed PDK transmission system that provides better performance and mileage. The other German made cars like Audi TT, BMW Z4 and Mercedes-Benz SLK roadster are standing strong to compete the Boxster. 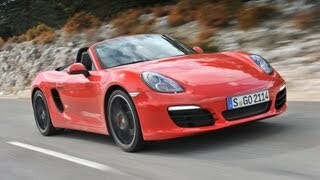 Porsche is expected to release the Boxster lineup to the general public on 14th April this year. It is speculated that the Boxster S will sport a price tag of 59,120 euros including all taxes whereas the Boxster model costs almost 11,000 euros less.